You can’t base your life’s decisions on potential future regrets. What is the Real Power of One Person? “The purpose of marketing is to deliver business results,” says Arlene Dickinson, renowned CBC “dragon” and one of Canada’s most successful communications entrepreneurs. Whether explaining how to leverage marketing in tough economic times, sharing backstage stories from “The Den,” or speaking on her personal story of success, Dickinson’s experience and expertise always shine through. Dickinson is best known to Canadians as one of the venture capitalists on the award-winning series Dragons’ Den, an investor on The Big Decision, and a judge on Recipe to Riches. She is the author of two bestselling books: Persuasion, and her most recent bestselling release, All In. Her success and leadership have been recognized with multiple honours and awards, including Canada’s Most Powerful Women Top 100 Award, the Pinnacle Award for Entrepreneurial Excellence, as well as being recognized with PROFIT and Chatelaine magazine’s TOP 100 Women Business Owners Awards. Dickinson is an Honorary Captain of the Royal Canadian Navy and is the recipient of honorary degrees from Mount Saint Vincent University,Concordia University, Saint Mary’s University, and NAIT. She is a recipient of the Queen Elizabeth Diamond Jubilee medal. She also sits on numerous public and private boards and is dedicated to giving back to her community and country. Can anyone be an entrepreneur? Arlene Dickinson's emphatic answer is “Yes.” In this talk, one of Canada’s most high profile business speakers distills a lifetime of experience to reveal everything you need to know—and do—to start, to run, and to grow a great business. (A customized clip from the hit show Dragons’ Den provides buzz, though that’s just a starting point.) On stage, as on the small screen, Dickinson is an inspirational speaker. She displays a palpable and infectious belief in the entrepreneurial spirit; she reminds us of the major contributions Canadians have made to international business and the entrepreneurial tradition. This keynote is highly requested by those who are looking to hire Arlene Dickinson as a speaker. “Like laying bricks to build a house, each dollar you spend on marketing should measurably build your business.” Marketing plays a fundamental role in all businesses—yet it is seldom held accountable the way other departments are. A superstar marketer driven by corporate objectives, celebrity speaker Arlene Dickinson shows us why marketing must be a top concern of leadership, and why creativity and accountability must go hand in hand. Otherwise, why bother with marketing at all? 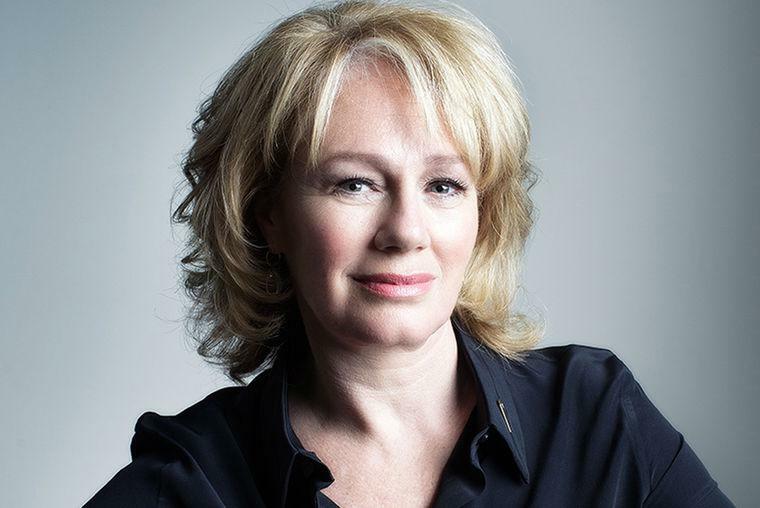 Dickinson, as she does weekly on Dragons’ Den, will help decision-makers grasp the essential strategic function of marketing in an insightful, accessible and frank talk, anchored squarely to the bottom line. The marketing guru on Dragons’ Den, business speaker Arlene Dickinson shows us why the best companies don’t stop marketing during a recession. With striking examples, and peerless business sense, she shows you how to leverage your marketing through the tough times—in order to come out ahead when the good times return. Success is often taken for granted; few stop to think about where it came from, what shaped it, what trials were involved. In this refreshing business talk, keynote speaker Arlene Dickinson tells her story, providing a rare look into the making of one of Canada's most powerful business women. Brimming with lessons in self-doubt and self-confidence, this refreshing talk is underscored by modesty, grit, and enormous heart.